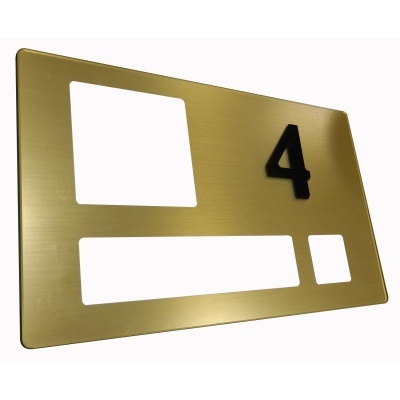 Ideal for Extra Care facilities, the Find Signage Extra Care Bedroom Sign is available with a stylish gold or silver design. Durable and non-reflective, the signs have been designed for clarity. In Extra Care homes, it's important that signs are as clear and easy to understand as possible while still providing a personalised sign for individual residents. The Find Signage Extra Care Bedroom Sign has been designed specifically to provide a sign which is both easy to read and customisable for individual residents' needs. The extra care sign is idea for facilities where readability is important but where dementia is not the deciding factor such as Extra Care homes. The sign retains some dementia-specific features while providing a more up-market design. The sign features interchangeable spaces for names and pictures, helping residents make their space their own as well as helping them find other residents' rooms more easily, providing a more communal and friendly atmosphere. 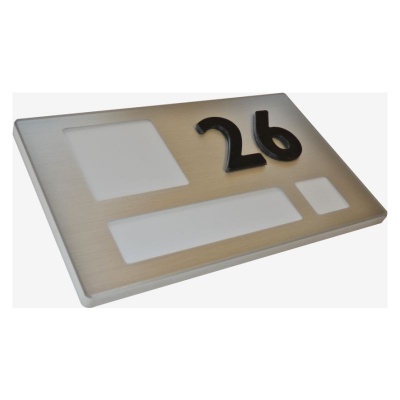 The durable design of the extra-care sign helps you ensure its long life in your facility. It also features non-reflective and tactile qualities which aid clarity in reading, and is also hygienically-designed. To help best match the decor of your facility, the signs are available in silver and gold colours to provide you with the most effective sign possible for your needs.